Well May is my favourite month so of course it made sense to start writing my monthly favourites in the month of May. Lets talk about I.AM.GIA. Yes, you know which jacket I am on about. My new obsession!! It is everything you could want and more. 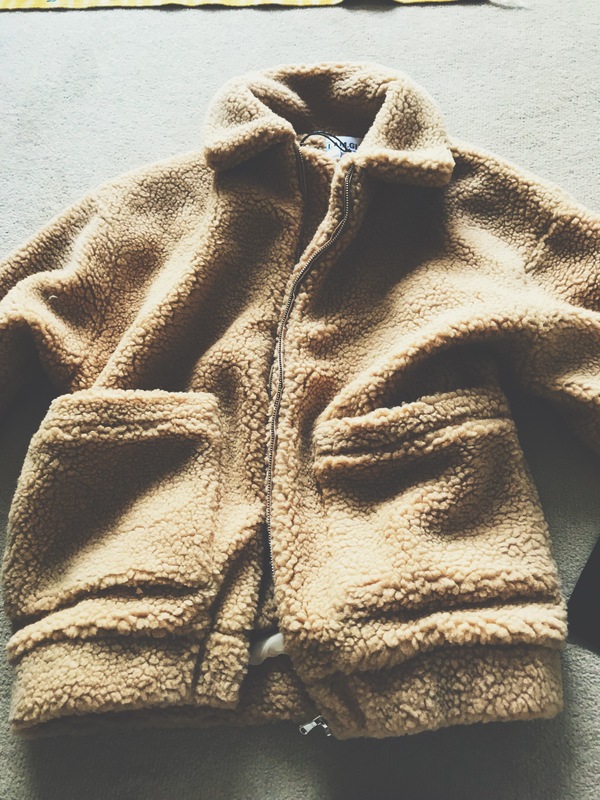 It is cosy, stylish and makes me feel like a teddy bear! I got this jacket as a birthday gift this year and let me tell you, for once the weather has been nice in the UK so I literally check the weather forecast every day waiting for an excuse to wear it. If I could live in this jacket I would. I have a size Small which feels like a good fit for me considering I am usually an 8/10 depending on the clothing item. I have been craving cookie dough this month. I don’t know why, it feels slightly bizarre but I just want cookie dough all the time. However the month of Ramadan began in May and so this month every food in the world is my favourite food. I am going to confess that I do end up watching a few Mukbang videos and baking videos when I am fasting and I don’t know why I do it because it just makes me want to eat everything. When I am asked what I would like to open my list with I promise you it is the toughest decision to make. Ok so more like book series of the month because I finished the latest book this month but the Red Queen series by Victoria Aveyard! I love these books! I can’t wait to get my hands on the fourth book War Storm which has just been released! These books are everything. I was hooked from the first page and I knew I had to read them all at once. The plot keeps you wanting to know more and anxiously turning the page wondering what happens next. Full of heartbreak, love, adventure of sorts, fantasy etc. it has it all! I will put the blurb of the first book below! “The Reds are commoners, ruled by a Silver elite in possession of god-like superpowers. And to Mare Barrow, a seventeen-year-old Red girl from the poverty-stricken Stilts, it seems like nothing will ever change. It is rare that I start a tv series and continue watching it until I finish it. You see I get bored very easily and if I don’t like the characters or the plot then I won’t watch the rest of the series. However from the first show until the last I was hooked. I loved every moment, every plot twist and turn. I loved the character of Jane. Someone who is independent and finding her feet after facing obstacle after obstacle. Someone who is brave, caring, funny, entertaining and powerful. She encompasses everything I want to be. Her devotion to her family, her love for her husband and son, her determination to fulfil her dream of becoming a writer she is such a wonderful character. Gina Rodriguez is the perfect actress to play Jane because she herself is an inspiration. She is such a strong female role model and I love watching anything she is in! Now let me tell you when I heard that they were going to do one more season and then cut it off I was heartbroken. Devastated. Angry with the world. I still am to be honest it’ll take some time to get over. I am literally praying that Netflix picks it up because it is one of the best shows I have ever watched! If I tried explaining what happens I would go on forever because the show is packed with drama! I. Am. Obsessed. One of my favourite albums to date. Post Malone did not disappoint. Every track is amazing, none of them are repetitive. I have to see him live it is definitely one of my bucket list items. I cannot praise this album enough. 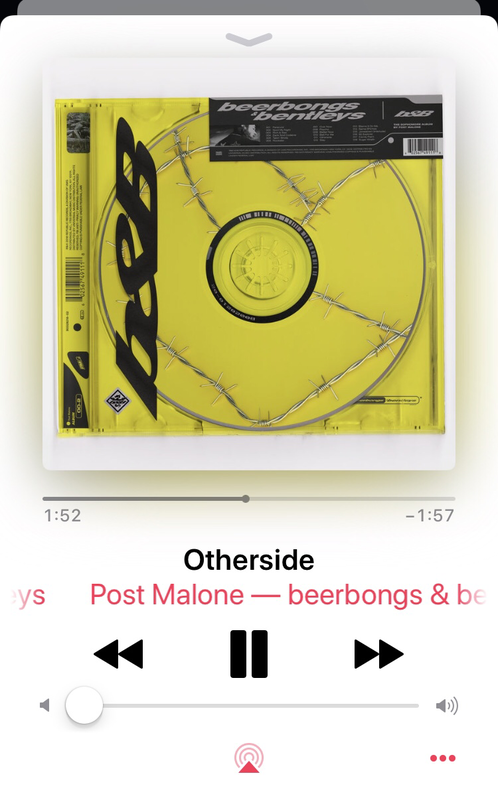 Everyone who knows me knows my obsession with Post Malone’s music and when he released this album it was like my birthday had come early! If you haven’t heard it already you are missing out! This one without a doubt goes to my baby cousin being born. A beautiful time for our family it cannot be competed with. I am so blessed to be able to say that I got to hold him and meet him on the day he was born. What a beautiful little boy he is. (Read my thoughts in my blog post The Gift of Life). Well as this is my first monthly favourites post my skin care favourite of the month will actually be something I have used for months now. My skin is sensitive and difficult. Not many products work for it and trust me I have tried so many! 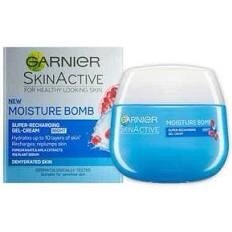 However the Garner Skin Active range hasn’t failed me at all over the past few months. I love this line because my skin reacts well with nearly all the products. My favourite has to be their night cream! Put this on before you sleep and your skin will feel so good in the morning. Not greasy or oily but moisturised.